Question – When should I replace my standing rigging? From the Rigger – According to industry standards, the anticipated lifespan for stainless steel rigging is 10-12 years for wire and 15-20 years for rod. Of course, a number of factors affect a rig’s lifespan including load, sailing conditions, mileage sailed, age, fatigue from cyclic loading, environmental influences such as salinity and contamination, and frequency of care and maintenance. 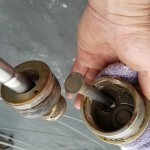 Many people believe that only heavily used rigging needs to be replaced, but the continuous flexing of loose wire that is not under load can take a serious toll as well. The flogging of a loose shroud can actually be harder on wire than steady pressure. Unfortunately, there are not always visual clues that your rigging has passed its life expectancy. 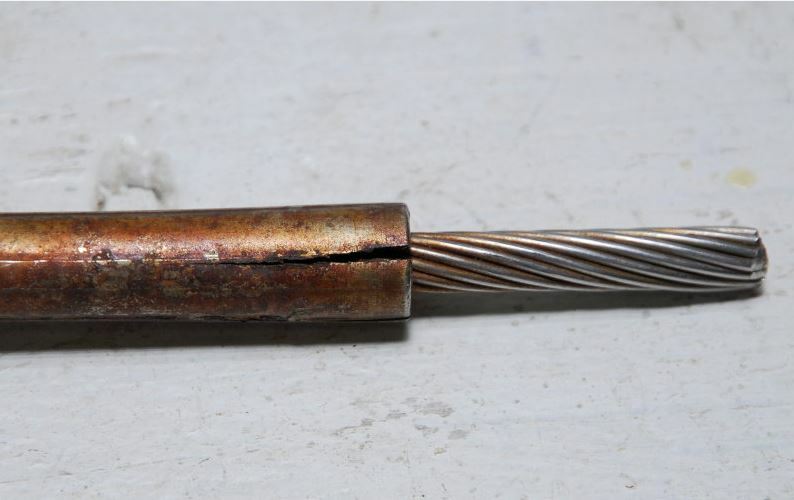 Things to look for include corrosion, pitting, cracks, and broken strands or “meat hooks” on the wire. 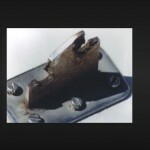 Rust and discoloration can indicate the location of a crack or crystallization of the metal. 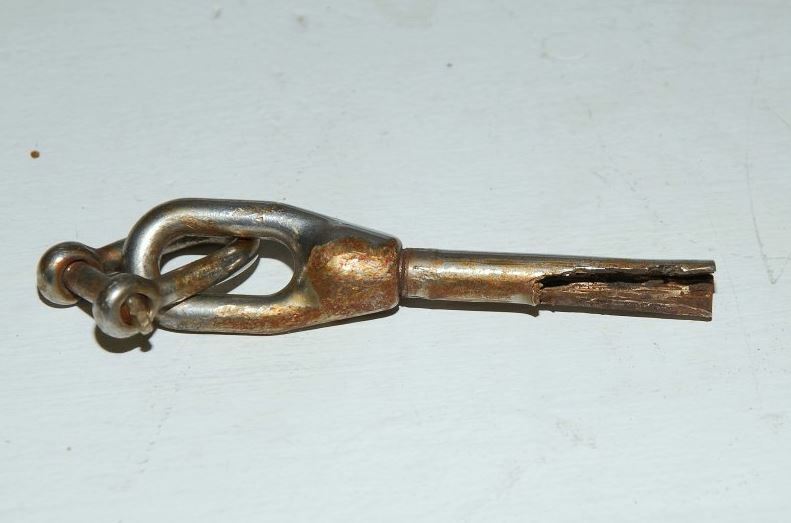 Check your spreaders, chainplates and turnbuckles for cracking, fatigue, missing cotter pins/rings, etc. 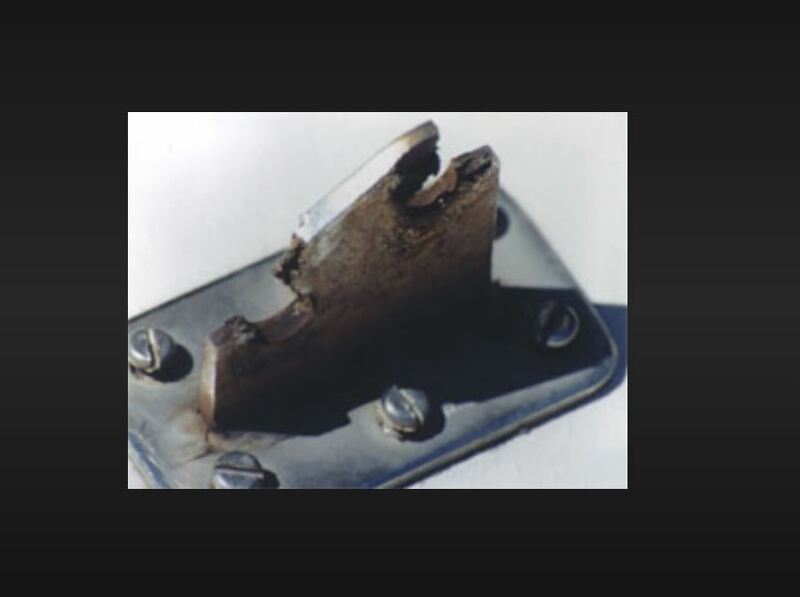 Check the deck around the chainplates and mast for cracking and delamination. If in doubt, get a professional opinion. The cost to replace standing rigging obviously varies from boat to boat. 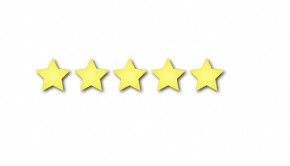 Give us a call, and we can give you a rough quote. 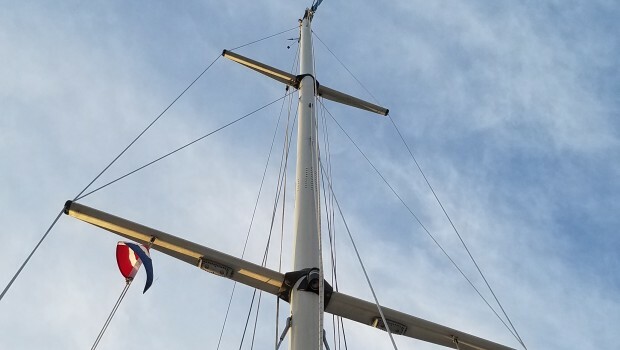 With proper measurements (wire diameter, pin sizes, wire lengths), we can give you a very accurate price for the standing rigging itself, but there are often unforeseen complications during the job (bad spreaders, corroded mast bases, hardware that is stripped on the mast, frozen pins, chainplates that are failing, etc.). A rig inspection beforehand can minimize surprises. 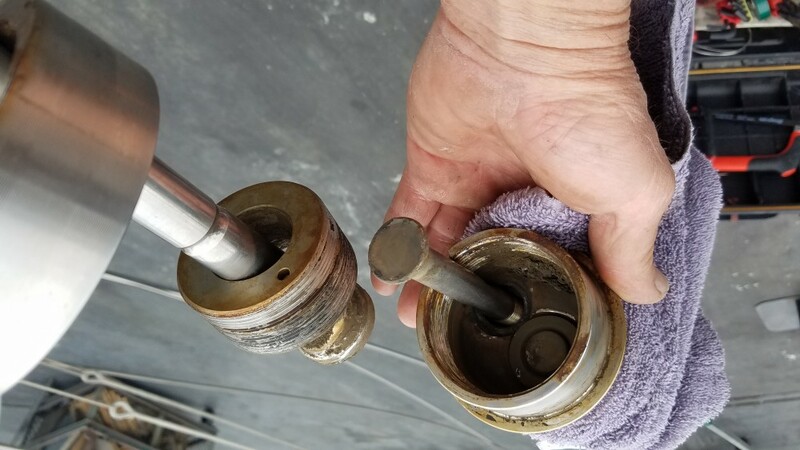 And word of warning… jobs often get expensive because the customer decides, once the mast is down, to add furlers, masthead units, new sheets and halyards, etc. These additions add up quickly and affect the cost of parts, labor, special order shipping, taxes, etc. We are happy to accommodate your requests, but the cost of your job will escalate quickly. Although we work closely with the boatyard during the job, you will need to negotiate yard fees (crane, mast lay days, etc.) directly with the yard of your choice. They are not included in our estimate. Driscoll Boat Works and Shelter Island Boat Yard are both within walking distance of Rigworks. Assuming it fits in our racks and we have room, we may be able to avoid mast lay day charges by storing your mast here at Rigworks. As a quick side note… people often ask if they should switch from rod to wire rigging or vice versa during the re-rig (usually from rod to wire as rod is much more expensive per foot). Be aware that this is not a simple conversion and can be quite expensive. 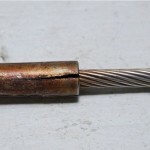 The terminations for wire vs. rod can be quite different and require a lot of customization. Maintain your standing rigging! Like your car, your sailboat needs TLC. Perform routine cleaning/polishing to remove corrosives, identify chafe points and other damage, and properly tune your standing rigging (shrouds, forestay, backstay). Stainless does not like to be deprived of oxygen, so keep tape off your rigging to avoid anaerobic corrosion. For more information on rig maintenance, visit our prior ‘Ask the Rigger’ article at http://rigworks.com/maintaining-your-standing-rigging/ and download our rig-care pamphlet at http://rigworks.com/wp-content/uploads/2016/03/Standing-Rigging-Care.pdf. Get regular rig inspections! This is a very inexpensive investment (by yachting standards ) to ensure that your rig is in sound condition. Why not schedule annual service as you would with a car? Let us go over your rig from top to bottom and end to end to identify trouble before it gets worse. 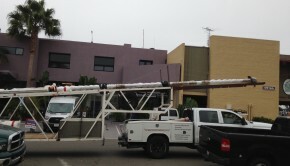 For more information on rig inspections, visit our prior ‘Ask the Rigger’ article at http://rigworks.com/the-scoop-on-rig-inspections/. Our riggers can also tune your rig, either at the dock or under sail. Not only will your rig last longer when properly tuned, your boat will sail better, and who doesn’t love that! 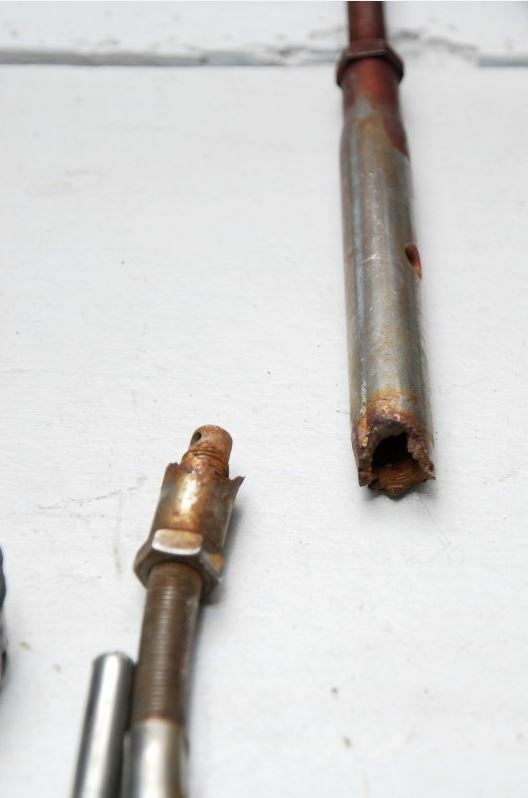 Consider pulling your rig every 5-6 years to inspect the mast base, chainplates, turnbuckles, wire, etc. This is considerably less expensive than a full re-rig and, again, may identify issues before they become catastrophic. And PLEASE do not buy a used boat without a professional rig inspection! We have had many customers who have found a ‘great deal’ on a used boat only to discover that they need to spend a small fortune on new rigging. 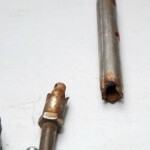 A boat with bad rigging is at best a pain in the #@$ and at worst a lethal weapon. There is nothing more expensive than a “cheap” boat! A customer came into our shop the other day to discuss his 33-year old rigging. He said it looked fine. He asked “Isn’t the industry standard just a ploy by manufacturers to sell more wire”. Since we also stand to gain when you replace your rigging, let us say that many insurance companies will not insure sailboats with aged rigging. This should be a warning. If they are not willing to take the financial risk, are you willing to risk yourself and your crew? 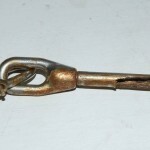 Finally, should you decide to sail with that old rigging, consider checking out the ‘Ask the Rigger’ article titled “Rigs Fail… Are You Ready?” at http://rigworks.com/rigs-fail-ready/.